TODAY (August 29th) is your LUCKY DAY! 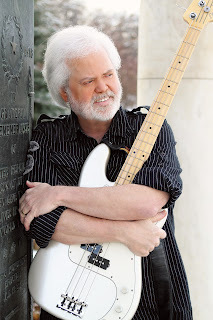 Celebrate the release of FAITH, HOPE, AND GRAVITY by Merrill Osmond and Shirley Bahlmann with a special price and get a free video of the NEW original song by acclaimed singer/songwriter, Merrill Osmond! When you purchase Merrill Osmond's FAITH, HOPE, AND GRAVITY from Amazon.com (softcover book or ebook) today, August 29th, you receive over 10 free downloadable gifts, including ebooks, training seminars, podcasts, and additional music! I have a special offer for you—it’s only good for today—Wednesday, August 29, 2012. Purchase FAITH, HOPE, AND GRAVITY from Amazon.com. Then email Rachellethewriter@gmail.com with your order confirmation/receipt. Once Rachelle receives your order details, she will email you an amazing selection of over 10 free gifts from Merrill Osmond, Shirley Bahlmann, and several others! (All items will be emailed to you from Rachelle after she receives your order confirmation.) You can purchase the Kindle Edition HERE for $3.99 today! Paperback also available for $15.99. Over 10 free gifts to enjoy! 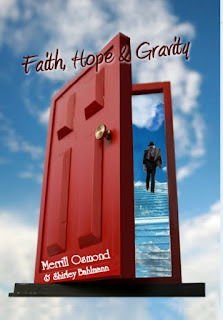 To celebrate the launch of his new novel, Merrill Osmond, singer/songwriter, producer, and author is offering a free video of his new song titled after the novel, Faith, Hope, and Gravity. EBOOK-DETOURS-WHEN LIFE THROWS YOU A CURVE JUST FOLLOW THE ROAD begins with 5 friends facing a journey to an incredibly lovely estate glimpsed in the distance. Their kindly host tells them to follow the signs as they travel. But did he really mean for them to obey the "Detour" sign that takes them off the paved road onto a rough track? Or is it a clever prank? Find out where they end up, then ask yourself: Where are your choices leading you? EBOOK by Shirley Bahlmann - ANEDRA AND THE FISH PRINCE proves that a beautiful yet selfish young lady really does have a heart when she volunteers to help her mother. But all the good seems to go down the drain when she disobeys her father and eats a bite of forbidden fish. Her disobedience sends her on a remarkable journey. She swims under the sea, flies into the air, and finds herself smack in the middle of an angry giantess's castle with only a grumpy dog as her companion. THE PRIZEWINNING SCANDINAVIAN FESTIVAL BREAD RECIPE. This grand prize winning recipe won Rebecca McGarry a brand-spanking new Bosch mixer, still in the box, against the entries of 39 other hopeful bread makers. As the mother of 10 children, Rebecca makes good use of her mixer. Go ahead and make yourself a batch of warm award-winning bread, and feel right at home. Get back to center with this 30-minute CoachCast to help you find your focus, set successful and enjoyable goals, embrace the unexpected, feel the power of simple rewards, and create your own Life Board. Learn why a Life Vision is key to becoming your ideal self-start today! Visit www.8basics.com for video segments, blog posts, products, and more. 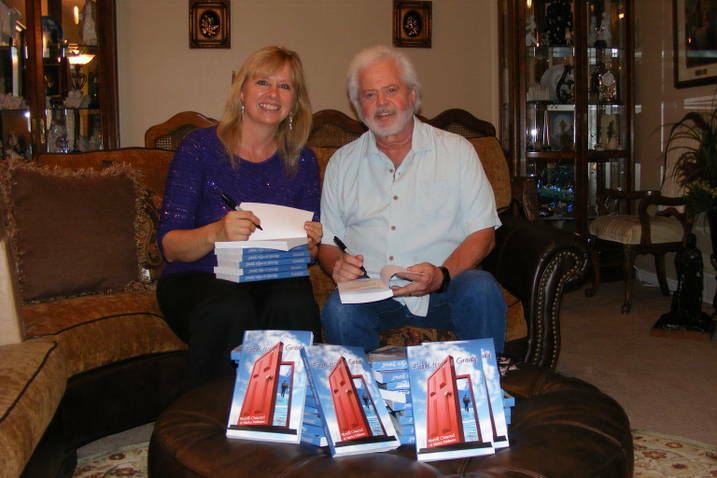 Heather Johnson from Family Volley.blogspot.com, shares with you 5 powerful tips for keeping your marriage strong. Including the "anatomy of a successful date night" and tips for better daily communication. Free download of PDF file. Free Children’s song from the American Tall Tales Collection of Story Time Felts & More written and performed by Rachelle Christensen & Craig Hancock. The Johnny Appleseed song tells the story of the beloved folk tale hero who walked the frontier planting apple trees for the future. Story Time Felts & More is the leader in interactive felt products creating imaginative play for children for over 25 years. EBOOK by Tristi Pinkston - Secret Sisters is an LDS cozy mystery novel about an elderly Relief Society presidency who turns to espionage to get their visiting teaching done, and accidentally bring down a drug ring. Shear Luck free ebook by Heather Justesen—a romance novella-- When salon manager Chelsea Robison walks into the restaurant next door, she's surprised to run into her teenage crush Vaughn Krenshaw. Though he is still mourning his wife's death, he can't help but take a chance and ask her out. As things start getting serious, family pressure about dating again, and rumors from his past surface, making the chance for happily ever after look farther than ever. 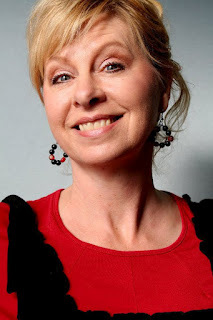 The PDF of “Solving the Mystery of Writing—5 Steps to Successful Writing” from award-winning author, Rachelle J. Christensen. Why a book bomb? A book bomb is when a large group of people purchase a certain book on a specific day on Amazon. 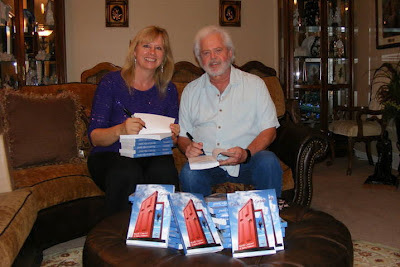 This pushes the book's popularity up the Amazon ranks, which in turn gives the book more visibility to Amazon shoppers. That’s the goal today for FAITH, HOPE, AND GRAVITY. So feel free to pass this on to your friends and shout it out on FB, Twitter, etc. We’d like as many people as possible to benefit from these bonus gifts. Remember this offer is only good for purchases made on Wednesday, August 29, 2012! You must Email Rachellethewriter@gmail.com with your order confirmation/receipt when you purchase FAITH, HOPE, AND GRAVITY from Amazon.com. How "Faith, Hope and Gravity" came to be! 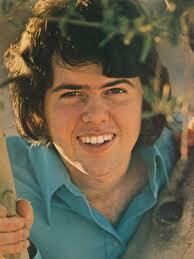 Did you know that the main character in Merrill Osmond's book is named "Liam?" It's there for a reason... it means "defender"... but I also like it because it kind of sounds like "Merrill" said backwards. Many people have asked how I came to write Merrill's book. It started after my friend, Alicia Feree, who knows sign language, joined my writing class. She was acquainted with Merrill's son, Justin, and referred him to me to write his story. Once Justin's book, "Hearing with my Heart" was done, (CLICK HERE!) Merrill asked if I'd be interested in working with him on a book project. We talked, he gave me his notes, (a LOT of notes) I read and outlined, we talked some more, I wrote, we read, and talked some more. And what we came up with is "Faith, Hope and Gravity." If going on a world-wide reading adventure while discovering insights to make your life happier sounds good, be sure to get your copy on August 29 (that's just 2 days from this post!) You want to get yours then because you'll be richly rewarded! Your free gifts include Merrill's new music video and song written specifically for "Faith, Hope and Gravity," ebooks, training seminars, podcasts, and additional music! I would love to see you smile at all the free gifts you get with your copy of "Faith, Hope and Gravity" on Wednesday, August 29th! Now you know where to meet me on Wednesday! Thank you. Have a good day, a happy day, a reading day. HEADS UP! Book Bomb Coming August 29th! 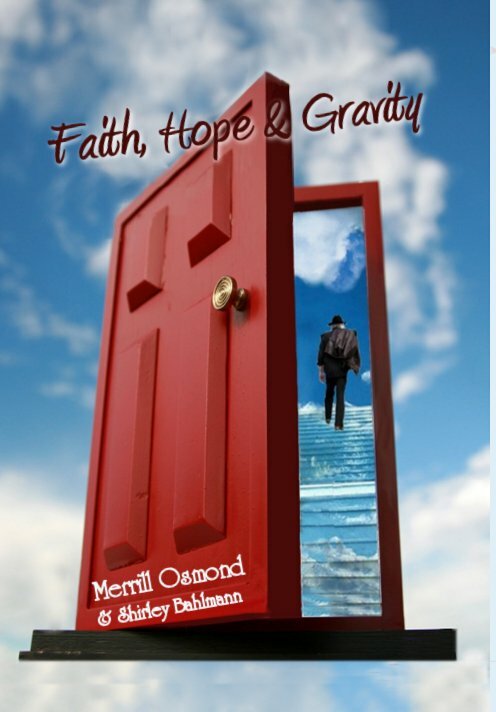 “Faith, Hope and Gravity” is the spiritual, magical adventure of teenage Liam Kane as he discovers some of the same lessons Merrill Osmond learned as the world-traveling lead singer of the Osmond Brothers. Like Merrill, Liam is often misunderstood as he helps those seeking for purpose in their extraordinary talents. Liam’s visionary abilities gain him international notoriety as “The Prophecy Boy” who swims with dolphins, dreams of a mysterious red door, and champions those who are often misjudged for their uncommon gifts. Surviving kidnapping, near-drowning, and imprisonment leads to the discovery that despite differences, when people respect each other and their wide variety of abilities, the thread of commonality that runs through mankind grows ever stronger. It was the last day of the summer Children's Writing Class. 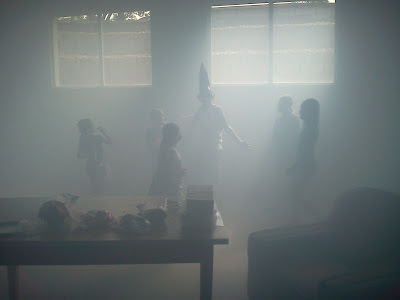 With the intention of making it memorable, I borrowed a fog machine to add ambience while the tall-hatted guy in the center of the photo, my 13-year-old funny fortune telling son, told fortunes. 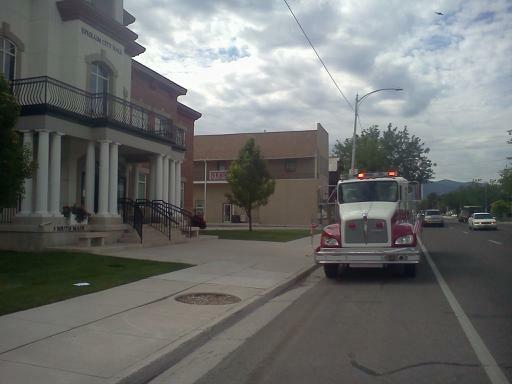 As soon as the alarm sounded, I dashed up the stairs and let the people in the city office know that the alarm was from a fog machine, not a real fire. 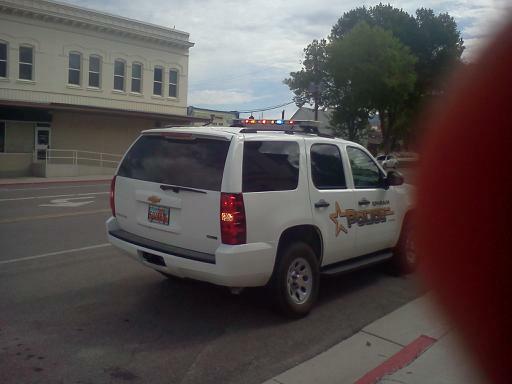 They sent in the police chief (who is my son's brother-in-law) and a fireman (who happened to be Kerry Steck from my graduating class at high school.) They shook their heads and set up fans and cleared the whole place out. When I went outside, I was very surprised to see a fire truck and a police car, both with flashing lights. All this commotion from a little fog! Now I'm determined to go forth and write stories as memorable as my last writing class! What have you done for fun that didn't turn out as you planned? When I read this to my 12-year-old son at night, he hated it when it was time to stop. He declared this as his favorite book in the whole world. The Kindling also captivated me from the first, with an creepily well-drawn evil presence invading a seemingly normal life for three young teens who attend a gifted middle school. As events progress to where the children realize they have powers, the danger also escalates to life-threatening situations. This book carries readers along on a journey in this world as well as a mysterious other world, which contains the darkest elements in creation as well as the brightest. I am already anticipating the next book Braden Bell gives as a gift to the world. 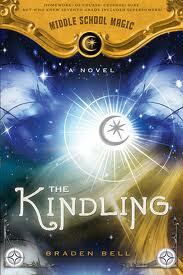 AND NOW, IN HIS OWN WORDS, THE STORY BEHIND "THE KINDLING!" This book is quite close to my heart because it takes place in a small, private middle school and features the close relationship between three seventh graders and a rotund, sweater-vest wearing theatre and choir teacher who happens to have a Ph.D. He looks like me--but to be honest, the character is not based on myself. To some extent, though, he's the teacher I would like to be. If you've visited my blog much at all you know that next to my family and church, teaching, my students, and my school are the other great loves of my life and this book is sort of my love letter to those last three items. I wrote this book at a time when I was at a particularly low ebb in my career. I was deeply discouraged and but for the bad economy, I probably would have left teaching, or at least my school (that would have been a terrible, terrible mistake as the years since have been the happiest of my life). Feeling the need to pick myself up a bit, I thought a bit about writing an adventure that highlighted some of the things I liked about teaching and that explored my work world in a fun way. That was all simmering in my mind one very stormy Wednesday night. My son got home from church and told me about a creepy guy in a black cape walking across people's lawns in a heavy storm. Why would such a person be out on such a night? That got my mind thinking and I stayed up late that night writing two climactic battle scenes--one that happened in a choir room, another in a school cafeteria. I saw these scenes clearly, like a movie in my mind, and I couldn't type fast enough to get the words on the page. Theses two battle scenes were the bookends of the plot and once they were written, I filled in the rest of the story between those two points. And then I revised and revised and revised and revised. And revised. At any rate, I love the story and the characters. I should add that the characters are not meant to be portraits or portrayals of anyone. The physical appearance of some of the teachers in the story were suggested by colleagues, but they quickly evolved into their own people and are not representations of anyone specifically. Still, I suspect that those lucky enough to be in the Harding Academy community will think they recognize some of the characters. It's kind of like that with books. You see a good looking cover with the promise of a great story, but the truth lies in slicing those pages open with your fingers and seeing what lies inside. 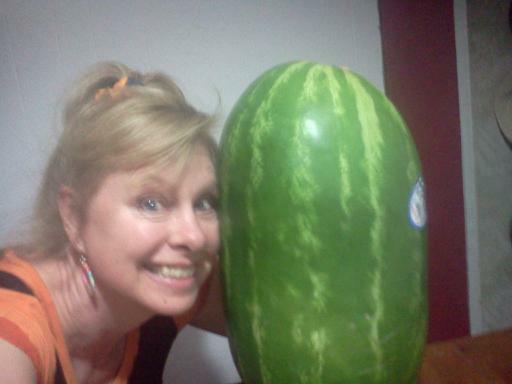 I hope your next book is as GOOD as my last WATERMELON!